Dent Removal & Repair | Orange County Paintless Dent Co.
PDR Services for Orlando, Kissimmee, UCF, Sanford, Ocoee & More! Orange County Paintless Dent Company is located in Altamonte Springs, just outside of Orlando Florida. We have been serving the greater Orlando area since 2008 and have experience in the dent removal and repair industry since 1996. We provide multiple services, including paintless dent repair and mobile dent repair. If you have been looking for convenient and high quality dent repair services with excellent customer service in the Orlando area, you found it! We don’t just say customer satisfaction is our top priority, it really is! When you choose the Orange County Paintless Dent Company for your dent repair needs, you and your vehicle will get the attention and personal service you both deserve. From the first time you contact us to hours after we return your dent free vehicle to you, our focus is on ensuring you have received a service from Orange County Paintless Dent Company that you’ll be excited to tell your friends and family about. The paintless dent removal process doesn't use paint or body filler, so that means we can come to you! Imagine enjoying the convenience of having your dents repaired while you work, shop or snooze! Not only is our service more convenient but it also saves you time, and couldn’t we all use more of that? No need to drop your car of at a body shop for a week or two and pay for a rental car or wait 3+ hours for the service to be completed, just give us a call and we can have you fixed up and ready to hit the road in under an hour in most cases. Our dent removal process typically takes 15 minutes to an hour depending on the severity of the dent in need of repair. The average cost of dent repair is usually 2/3 less than if you were to use a body shop for the same repair. We are happy to repair vehicles with hail and severe roof damage in a closed environment, because these repairs must be done under a covered area to provide these services as part of our mobile service. Also, please note more extensive repairs such as severe hail and roof damage can take anywhere from 2 hours to a full day to complete. The convenience and advantage of paintless dent repair can’t be beat if you want to save both time and money. Contact us today for a free dent removal estimate, we promise quality repairs for a fair price so give us a call today and let us get your car back into tip top shape! 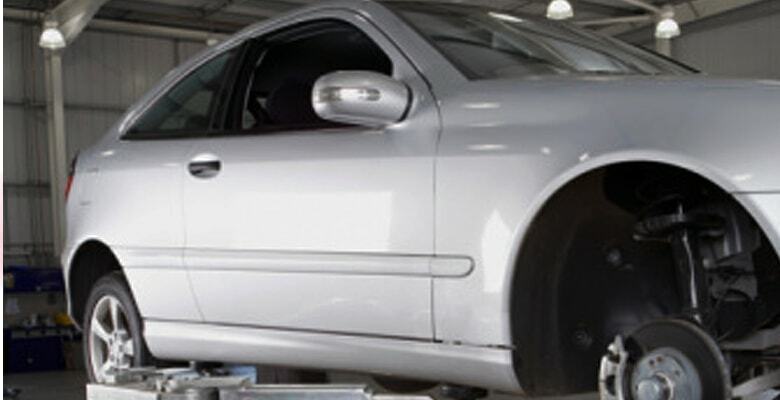 With over two decades of experience performing paintless dent removal in Orlando and the surrounding areas, Orange County Paintless Dent Company understands how important it is for you to maintain the appearance of your vehicles. But no matter how upsetting it can be when your car or truck is damaged, it’s crucial to realize that these types of things are bound to happen from time to time. Rather than getting angry and looking for someone to blame — or even worse, blaming yourself — it’s more productive to focus on how to fix the problem and the steps you can take to avoid having this happen to you again. Impact from another parked vehicle – One of the most common ways that body damages occur is when someone else’s door makes contact with your vehicle in the parking lot, parking garage or on the street. While there’s no way to completely protect your car from these swinging menaces that cause millions of dollars in damages each year, being selective about the spots you choose and making sure to stay within the lines with ample room on either side of your vehicle when parking can make a world of difference. It might mean another few minutes prowling around the lot looking for a more spacious spot or a longer walk to your final destination, but isn’t that a small price to pay for avoiding a dent or ding? Along with being careful where you park and keeping an eye on inclement weather, there are other proactive strategies for avoiding dings, dents, creases, scratches and other blemishes. Something as simple as utilizing a protective car cover can instantly diminish the likelihood of damage from minor accidental impacts. In fact, some car covers are designed to stop hail and even include a mobile app that sends real-time messages that alert you in case of extreme weather conditions. There are also a number of new products on the market designed to guard vehicles against damages. Popular pieces of protective equipment range from stick-on piping and rubber wall guards to Velcro-attached bumper protectors and extended license plate holders that prevent other drivers from making contact with the side, front and back end of your automobile. While all of these products, tips and strategies can help limit the likelihood of your vehicle being damaged, none of them are 100% effective. Often times, basic steps such as washing and inspecting your car on a regular basis to spot small dents and dings before they grow more extensive and choosing a reliable source for dent removal will have the biggest impact on your wallet and your peace of mind. What Kind of Dents Do We Repair? It’s understandably stressful to discover damage to the exterior of your vehicle, but you can relax knowing there’s an easy way to make it look as good as new. We specialize in fixing dings, dents, creases and hail damage. Let us put our extensive experience to work for you with the best dent removal service in Orange and Seminole County. When you call Orange County Paintless Dent Company for dent removal services, our mobile team will arrive as soon as possible to wherever you’re located throughout our territory. Our skilled and experienced technicians take great care in providing an accurate assessment in order to clearly demonstrate the extent of the work that needs to be done. We’re always up front about letting you know if paintless dent removal is the right choice for your specific case to ensure we’re able to perform to the stringent standards we’ve set for ourselves. Once approved, we get straight to work on repairing those unsightly dents, creases, and dings so the end result shows no signs of previous damage. Self-inflicted damages – Our modern lifestyles often leave us rushing from place to place, and when it comes to the condition of your car, that can be a recipe for disaster. Plain-old absentmindedness and not taking the proper precautions are top reasons damages occur and dent repairs become necessary. From taking extra care when backing out of the garage to ensure you have the proper clearance to opening car doors with greater caution when parking to avoid hitting foreign objects, parking structure beams or someone else’s vehicle, sometimes the best way to stay safe is to just slow down. It’s a good idea to be proactive by taking measures such as laying out ground rules to your children and the neighborhood kids about playing ball in the vicinity of parked cars. It’s also wise to spend a few minutes to organize your garage to ensure items such as rakes, shovels, beach chairs and bicycles are stored and secured a safe distance away from your vehicle. Extreme weather conditions – Hail is likely the most immediate concern for owners of automobiles when it comes to suffering major damages as a result of natural occurrences. While there’s almost no way to predict exactly when it’s going to hail, keeping tabs on weather reports and broadcasted regional warnings can provide the foresight to move your vehicle into a more protected location before the arrival of a powerful storm. It’s also wise to take greater care in parking an automobile when strong winds, heavy rain, sleet or snow are present, as these conditions often result in flying debris and reduced visibility. Accidents and vandalism – Perhaps the most difficult time to deal with dings and dents to your car or truck is when it happens as a result of someone else’s negligence, intentional or otherwise. The way to avoid this scenario again comes down to making smart decisions on where and when you park and leave your car. Street parking in high-traffic areas, near bike lanes or busy pedestrian intersections increases the probability that someone or something might carelessly impact your vehicle. On the other hand, parking in well-lit spots at night or paying a little extra for off-street parking when visiting an unfamiliar area are prudent and effective methods for reducing risks.